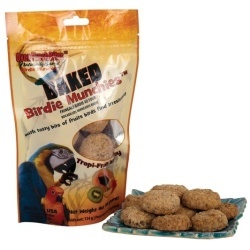 Baked Birdie Munchies are a new delicious treat that your bird will love! 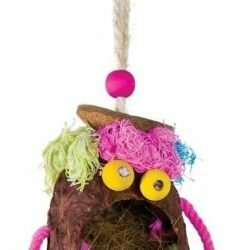 They’re baked in three delectable flavors and contain natural ingredients. The baking process helps keep more nutrition intact and is less abrasive to ingredients, particularly proteins, vitamins and minerals. Baking also permits the utilization of large grain particles. 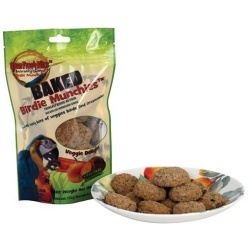 Baked Birdie Munchies are a new delicious treat that your bird will love! 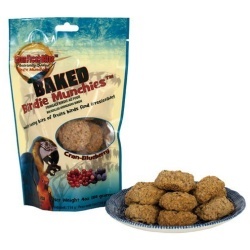 They’re baked in three delectable flavors and contain natural ingredients. The baking process helps keep more nutrition intact and is less abrasive to ingredients, particularly proteins, vitamins and minerals. Baking also permits the utilization of large grain particles. 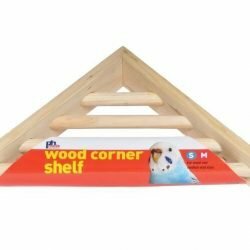 Nutritional research indicates that larger particles improve the nutrient retention, aid digestion and may improve avian health. 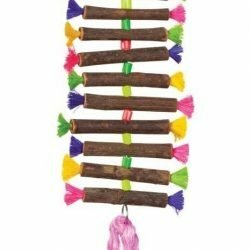 We have tested our treats with birds and received overwhelmingly awesome reviews from their owners. 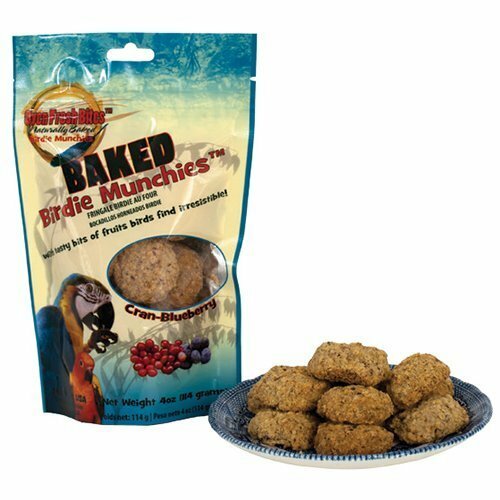 Baked Birdie Munchies have been developed with Caitec’s trademark attention to safety, superior quality and value.